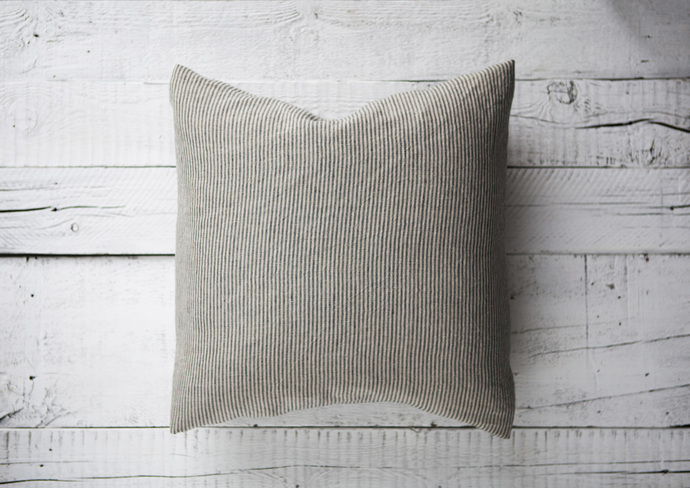 Striped linen pillow. Natural linen pillow cover. New handmade pillow cover - maybe used as pillow shams and may be sewn in euro shams size. Sewn in custom size which you can select while purchasing, and plus sewn border 1 cm. Natural color 100% linen, eco friendly fabric. Natural and black linen stripes. The closure is an invisible zipper on the bottom.